In December 2017, Martin Brynskov and me published a collaborative and exploratory piece on communicative objects. The prompt was a special issue of the Brazilian open access journal Parágrafo, managed and edited by Rafael Grohmann, on “Boundaries of Journalism” (including – inter alia – contributions by Alice Mattoni, Nikki Usher and Rodney Benson). In our article, we address the complexity of a public issue like the bike-friendly city and the various sources of data and media we, as journalism and media scholars, can access to understand processes of public contention. Based on the case study of #Radentscheid in Berlin, we offer a contextual framing of communicative objects and develop a typology of such objects. A cornerstone of our article is a discussion of the methodological challenges when investigating public issues through communicative objects, which transgress established disciplinary boundaries and explanatory schemes because they are situated in overlapping social, medial and political contexts. Along with this article, we publish the detailed Appendix: Communicative Objects Data Conversion Log on transformations of semi-automatically retrieved web data to render transparent – an an admittedly detailed and drastic fashion – the process in which web data is interpreted and adjusted for research purposes. We regard this as an essential step to reveal the process in which data is adopted by researchers and to explicate the concept of communicative objects in relation to digital methods. Citation: The article was originally published in Portuguese. Please refer to the original source as Raetzsch, Christoph; Brynskov, Martin (2017). 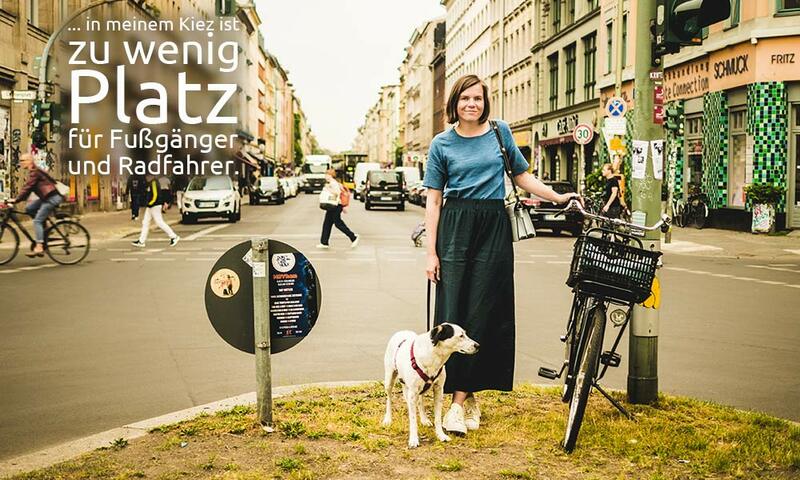 “Desafiando as Fronteiras Do Jornalismo Por Meio de Objetos Comunicativos: Berlim Como Uma Cidade Bike-Friendly E #radentscheid [Challenging the Boundaries of Journalism Through Communicative Objects: Berlin as a Bike-Friendly City and #radentscheid].” Parágrafo: Revista Científica de Comunicação Social da FIAM-FAAM 5(2): 110-127. http://revistaseletronicas.fiamfaam.br/index.php/recicofi/article/view/681. This paper addresses the boundaries of journalism through the perspective of communicative objects. Introduced as a heuristic concept, communicative objects focus attention on the processes and practices of meaning-making inside and outside publics as much as addressing the materiality of these processes that take place in digital and networked media. As more and more platforms and services are developed to involve actors in different socio-cultural settings in forms of public communication, the concept of the communicative object accentuates the materiality and epistemologies of these settings. The article builds on the case study of a citizen’s initiative for a bike-friendly city in Berlin (Germany) to outline methodological inroads and theoretical implications of the communicative object. The aim is to problematize rather than resolve tensions between everyday usage of media technologies, journalistic professional expertise and the practices of meaning-making that exist and evolve outside of journalism. Through the concept we also address new epistemological challenges of analyzing digital media, which emerge as a result of new interaction potentials of communicative objects which we cannot capture in document-oriented research methodologies. We often associate journalism with particular functions in society. As journalism scholar Michael Schudson argued, among the core functions of journalism are information, investigation, analysis, social empathy, offering a public forum and mobilization. Taken together, these contribute to the „democratic education“ of citizens about issues and conflicts, but also about the political processes that shape them (Schudson 2014, n.p.). Schudson is careful to note that this is neither a comprehensive list nor that these functions are identical across societies or media systems. But the approach to journalism through its functions is quite typical for the perspective of journalism studies in general. In this paper, we want to challenge this focus on functions and foreground boundaries of journalism in relation to materialities of communication and methods employed to study them. We elaborate the concept of the “communicative object” to theorize relations between materiality and meaning in journalistic and other public communication. As journalistic communication increasingly takes place and is studied through digital and networked media, researchers confront new methodological and theoretical challenges. Through the concept of the communicative object we want to delineate an approach to journalism that goes beyond the use of documents (texts, images, videos) as primary source of analysis. Instead, we address and problematize the formation of communicative objects through the dual attention to their materiality and meaning, or, as we call it, their digital encoding and epistemic functions. We draw on previous theory in this field (Raetzsch and Bødker 2016), this time offering a discussion of the communicative object through a case study on Berlin as a bike-friendly city in the first part. In the second part, we undertake a theoretical formulation of communicative objects in four dimensions, establishing important premises of research on such objects as part of communicative processes. This focus on objects allows us to foreground connections between different types of public articulation that we cannot address through journalistic media alone. The notion of the object in journalism studies was prominently taken up in a special issue of Journalism in 2015, edited by Christopher W. Anderson and Juliette de Maeyer. This issue addressed the role and relevance of artifacts, tools and technologies in journalistic practice (see Anderson and de Maeyer 2015; de Maeyer and Le Cam 2015, Kreiss 2015). Building on these ventures into the landscape of objects, we understand the concept of the communicative object in a broader theoretical and methodological perspective. On a theoretical level, we need to clarify how and what objects are embedded in processes of public articulation and how they are relevant for particular issues. The case study of a citizen initiative #Radentscheid in Berlin will give a concrete illustration of this point. Building on the questions that this case study generates, we outline in the second part, how the concept of the communicative object ties in with existing approaches to objects in semiotics, design theory, science-and technology studies (STS) and software studies. A crucial component of this elaboration is the changing role of objects within research processes, which forces researchers to become more transparent about the kinds of data they use and the kind of knowledge objects that result from their analyses. In sum, through the concept of the communicative object, we attempt a redefinition of the boundaries of journalism from the perspective of the materiality of media and a critical innovation of methodology to understand it. With a surface of almost 900 square kilometers, the city of Berlin faces a particular challenge of providing adequate traffic infrastructure for its inhabitants. As a result of post-World War II reconstruction in the 1950’s both the Eastern and Western part of the city were mainly designed for car traffic. Building on pre-war layouts for wide avenues into the city, West-Berlin developed a network of highways around and into the centre. In East Berlin, the iconic layout of Karl-Marx Allee from the central Alexanderplatz to the East was modeled after Soviet architecture for parade streets, with large high-rise apartment blocks lining the street. Alongside the large avenues and highways, Berlin also has an extensive network of bus lines, subways, regional trains and trams. In addition to these networks of car and public transport, cycling is increasingly becoming an important means of transportation both for leisure and for daily commutes into the city. The 2013 “Strategy for Bike Traffic” by the Berlin Senate Department of Urban Planning estimated an annual increase of bike traffic of 3 to 4%. Improving the infrastructure for bikes was seen as a strategic goal to reduce car transportation, especially for trips under 5 kilometers. However, the meagre budgets (average of 5 Euros annually per inhabitant) for renovating the existing infrastructure were consistently not spent. As the Senate (city government) acknowledges the need for safer and reliable infrastructures for bike traffic, a city-wide planning process was initiated, that outlined a grid of “bike highways” along major routes for commuters in the Spring of 2017. But apart from “bike highways” for commuters, many densely populated areas do not have dedicated infrastructures for cyclists or have not maintained the installed infrastructure well in the last years. A permanent conflict between car traffic and cyclists is often the result, where cars and bikes often share the same road despite clear visual indications of separate lanes (Figure 1). Building on previous initiatives and networks, a group of bike activists launched a public campaign in early 2016 to hold a plebiscite with 10 specific goals on improving the infrastructure for cyclists. One core demand was that the city of Berlin needed a “bike law” that included legally binding budgets, measures and milestones for improvement. According to Berlin constitutional law, a plebiscite requires that 20,000 citizens need to sign a petition, before it is admitted to the parliamentary process. The signature collection took place from May to June 2016 and within the short period, the initiative achieved to collect more than 100,000 signatures. This success surprised even the organizers and showed that the team had addressed an issue of great concern to many citizens. The subject of the hashtag #Radentscheid, a mixture of the German words for bike (Rad) with plebiscite or local referendum (Entscheid), became a strong theme in the election campaigns for the Berlin State parliament in summer 2016. The election in September 2016 yielded a majority for a coalition of Social Democrats, the Green Party and the Left. In their coalition statement, the parties agreed to “massively invest in bike infrastructure” on the basis of the demands of the initiative. At the moment of writing (August 2017) the “bike law” is still being negotiated among members of the initiative and the governing parties. Following the developments around #Radentscheid, the initial idea for this study was to analyze how journalistic media and activists differed in their communication on this issue. Building on previous work on the “circulation of communicative objects” (Raetzsch and Bødker 2016), we wanted to retrace mutual references in journalistic media and activist media. The assumption was that activists would frequently cite and link journalistic content that supported their cause to raise awareness of the issue. The case study was also intended as a test of digital methods to retrace circulation, taking the digital formatting of much of this communication seriously as a base for research and employing procedures of working with data. From a traditional journalism studies perspective, investigating the development of an issue typically takes place on the basis of a collection of documents that are assembled into a coherent format for analysis. The initiative collects references to news articles on a continuous basis from a broad scope of sources on its website. These sources include mostly local Berlin newspapers and public broadcasting channels, but also online-only news blogs and special interest publications on cycling. As a test for digital methods, we decided that the initial list of links to articles should allow us to see some overall patterns in the coverage. All entries on the website between 6 May 2015 to 30 June 2017 were collected through the HTML source and exported to a table. After cleaning and structuring the entries, we obtained a list of 919 references to news articles (see Appendix). These references were first coded for types of media to see what journalistic media paid attention to the emerging public issue of the bike-friendly city (see Figure 2). More than half of all references in the data set linked to Berlin newspapers, which is not very surprising. Activists read these papers and are hence more often exposed to them. The papers in turn cater to their audience’s interests and focus on local subjects. But we can also see a large heterogeneity of other sources, e.g., activist platforms, online-only news sites, or blogs. Figure 2: Types of journalistic media mentioned by the initiative, with local Berlin newspapers clearly serving as main reference. Source: https://volksentscheid-fahrrad.de/de/medienspiegel/. Period covered: 6 May 2015 to 30 June 2017; n=919. Looking at the list of headlines over a period of two years, we can observe that national newspapers and magazine only start to cover the issue of the bike-friendly city as the process of the referendum on #Radentscheid begins. The coverage is mostly associated with the initiative itself, often focused on single events and persons, which becomes apparent, when we visualize all 919 headlines in the dataset through a tool like wordle.net (Figure 3). Figure 3: Word cloud created with wordle.net of all headlines in dataset, with Berlin, Fahrrad [bike], and Volksentscheid or Volksbegehren [plebiscite/referendum] clearly being the most used terms. The Senat [city government] is also quite frequently used, to a lesser degree the term Radgesetz [bike law] since that came to the agenda in summer 2016 around the local elections. While this approach is rather an early probe than a method, tools like Wordle allow to quickly identify dominant occurrences of a term, similar to statistical tools. The word cloud gives us a new indication of the overall structure of the media coverage referenced by the initiative. It is heavily focused on the time of the signature collection for the plebiscite (Berlin, Fahrrad [bike], and Volksentscheid or Volksbegehren [plebiscite/referendum] are the most used terms) and it shows a focus on actors such as the Senat [city government] and the Initiative rather than issues. To a lesser degree the term Radgesetz [bike law] appears in the data set, since that only became a subject around the election in September 2016. Through these exploratory analyses of journalistic coverage on the basis of digital data, we get a clear sense that local media are often quoted (but not exclusively), that coverage is heavily focused on the issue of #Radentscheid, and this focus is largely reduced to a confrontation between a group of activists demanding legislative change and the city government being urged to address and effectuate this change. How then does the initiative itself communicate its aims, e.g., in social media? For the period of May to June 2016, we collected all tweets containing the hashtag or word (#)Radentscheid. Since there are many more terms associated with the initiative’s aims, this collection again is not representative or exhaustive. On the basis of roughly 1,900 tweets, we can identify two peaks in the distribution of tweets (see figure 4). These coincide with the start of the signature collection and the very surprising result in June 2016. At the start, followers of the initiative mobilize support for the signature collection. When the collection ends its success is widely shared. What we do not see is that journalistic content is widely referenced and shared with the community around the initiative. From background talks with the initiators we know that social media are mainly used to mobilize supporters for concrete actions, less for the discussion of issues. The communication here seems rather directed at getting attention, sharing insights and references to other initiatives, studies or imagery that supports the demand for a bike-friendly city. Overall, the communication on Twitter during this short period points toward the creation of a joint issue and a community that sustains its popularization. Figure 4: Visualization of 1,899 tweets containing #Radentscheid collected through Discovertext from 03 May to 30 June 2016 during the signature collection for the referendum. The two spikes coincide with the start and end of the collection. Two exemplary tweets showing positive examples of bike-friendly infrastructures (left) or creative campaigning (right), added by authors. Articulating the experience of biking in the city, rather than addressing the larger policy questions, characterizes the threads associated with #Radentscheid in May/June 2016. This experiential viewpoint can be seen as a strategy of the initiative to address citizens, who may not be politically active, but who are affected by dysfunctional infrastructures for bikes (see examples in Figure 5). Social media offer the possibility to address and articulate the viewpoint of citizens in this issue because the practices of tweeting, commenting and forwarding pictures are understood as quotidian rather than political actions. A recent call to participate collects selfies of cyclists at dangerous or dysfunctional places in Berlin, calling for #Radfreude (lit. bike-joy) instead of accepting continuous frustration (see Figure 6). Figure 6: Example of user tweet tagged #Radfreude (literally: bike-joy) circulated by the initiative’s account @radentscheid, 24 July 2017. Users all over Germany contribute selfies at locations where they do not feel safe or where infrastructure is not suitable for cycling. The campaign is supported by Lush cosmetics and environmental activists. Journalistic and social media sources seem distinguished by their functions of information versus mobilization. Both types of media create attention for the issue of the bike-friendly city in different ways. We can also see that the materialities of these sources differ. Journalists produce narrative account of events, in which representative actors are in a conflictual relation to each other. In social media, here Twitter, the documents which circulate are micro-narratives or sometimes just pointers to other digital objects. As the common reference #Radentscheid appears in users’ communication, it begins to reference many different kinds of digital objects (tweets, articles, references, user profiles). This network of references becomes discernible as a growing public issue. Through both kinds of sources we can understand different dynamics of this evolving public issue. Journalists frame a conflict between two opposing political forces; activists focus on the experience of the city as a strategy for mobilizing support for its aims. Both take part in the creation of a public in different ways and we could extend the analysis of this process now to a finer-grained level, singling out specific periods or types of actors, depending on our research question. What we will not see from such an analysis is how the issue of the bike-friendly city is not limited to questions of legislation, financial budgets or infrastructure. The issue also exposes how existing infrastructures obscure (and often inhibit) the equal participation of parts of the population. It is short-sighted to align the question of participation to an antagonism between car drivers and cyclists. Rather, the antagonism itself is a result of a vastly more present and heavily subsidized infrastructure that promotes car usage despite its rampant consumption of public space. This uniform usage of public space shows how invisible bike traffic becomes in quotidian practice due to infrastructural choices many decades ago. A German self help guide from the 1980’s (!) on “Cycling in the City” (Lessing 1981) still made the case for seeing the bike as means of inner-city transportation rather than a leisure vehicle. Against the background of new demands for reducing emissions, quality of life, urban and commuter transportation, bike infrastructures are now regarded as crucial investments in a more sustainable city. And although Berlin is widely recognized internationally as a hub for alternative lifestyles, businesses, arts and creative inquiry, its traffic infrastructures in large parts have remained geared toward the promotion of car traffic and motorized transport. The bike-friendly city is then also exposing a struggle over new and old uses of public space and about access to the city (Jacobs 1997; Greenfield 2006; Harvey 2013). We can compare this struggle through the ways in which bike traffic is communicated in the (much smaller) town of Aarhus and Berlin. There is a network of sensors embedded in certain heavily-used routes in Berlin. The measurements of these sensors are made visible through a dedicated website by the city’s administration (see screenshot in Figure 7). Information about frequency of bike traffic is public, but it does not itself relate to the traffic on the road. The city of Aarhus has a similar counter system, where daily bike traffic is displayed alongside the annual goals set by the city. In contrast to Berlin, however, Aarhus has put up public displays next to bike lanes, where each cyclist can see the daily count on his or her route (see Figure 8). In Berlin, the sensor is not a visible component of the infrastructure. There is apparently a large administrative and probably cultural difference between making such inconspicuous data collection public. In other cities in Germany the cost of installing bike counters has stirred public criticism, e.g. in Hamburg (Spörrle 2016). However, statistical data on bike traffic is often lacking and prevents necessary infrastructural decisions from being made. In Aarhus, certain parts of the main bike paths have also been connected to traffic lights so that the sensors do not only count passing bikes, but also change the light to green, under certain conditions, giving the bikes priority over cars. Apart from creating dedicated infrastructures for safe bike traffic, the sensor system can serve both as a statistical device as much as it can be active and alter quotidian commuter practices. Figure 8: Public sensor and display terminal for bike traffic in Aarhus (near Østbanetorvet Station), showing daily traffic and overall annual goal. In this case study, we have used different data sources and have separated these, somewhat artificially, into journalistic, social media and sensor data sources. Each of the sources yields different insights into the bike-friendly city as an issue of public concern. Different meanings would emerge here that we could prioritize in terms of their importance for specific research questions. What we want to focus on instead, is how such varied sources of data can be conceptualized in relation to their respective materialities and forms of circulation. Rather than separating these sources, we are looking for a conceptual and methodological way, in which all of them could be combined to understand the creation of publics. Different meanings, or even possible actions, could emerge from such a combination. We try to capture the duality of materiality and meaning, of encoding and practice, by the concept of the “communicative object,” which we outline in the next section. In journalism studies and political science, societal negotiations over power and legitimacy are often identified through specific issues. These can be themes or disputes in which several parties seek support for their positions. Often this dispute does not erupt spontaneously but is marked by a point of “going public,” a point where a lingering discussion in specialized circles is suddenly seen as affecting others who have not been part of the debate before. To define and create that point, journalism and journalists are crucial because they are seen as acting in the interest of the general public, not particular interests. When an issue emerges through journalism, this mostly takes the form of a series of stories, news reports, interviews, and commentary over a certain time. Different media outlets pick up the issue, investigate background and direct attention to other problems. Journalism thus employs a range of cultural, narrative and medial conventions, which have emerged over time and which distinguish journalism from other forms of public communication, e.g. a company press release, a demonstration banner or a simple social media post. But each of the materialities involved in a communication process is also connected to “interpretive communities” who draw certain meanings from these materialities in particular ways (see Bødker 2015; Zelizer 1993; Fish 1980). The example of #Radentscheid shows how certain meanings become connected to particular materialities and communities. News reports in journalistic media concentrate on the issue of conflict (between activists and the city government). Social media posts sustain a campaign while allowing individuals to articulate their experience of the bike-(un)friendly city. Sensors in the street seem to only register traffic, while signaling to citizens and feeding an administrative database. Through each of these materialities, different objects are created. The concept of communicative objects emphasizes that the individual materialities of media and meaning-making processes need to be seen in conjunction. As argued elsewhere, the concept of communicative objects seeks to “understand in what ways the materiality of digital communication can be related to a reconsideration of the social processes of negotiations over meaning that occur publicly in web and social media.” (Raetzsch and Bødker 2016: 142) Central to this understanding is the notion that communicative objects are composites of digital and epistemic objects. On the level of their digital encoding, such objects acquire the “capacity to accumulate rich descriptions, either through metadata or links from different sources” (ibid.). These ‘rich descriptions’ allow for new connections to be made between different sources, platforms and data formats. But this networking and description of data is not everything. In Kitch’s view, the newspaper or magazine is a material object which is necessarily prone to change over time, but that has the continuous function of record and representation. A similar argument could be made for personal social media posts, or even newer forms such as blockchain-style ledgers, in which events, views, references are recorded. When a tweet is used in journalistic reporting it is singled out as a representative or illustrative example of the people’s voice (vox populi). The same tweet, as a digital object, can assume a very different function within a social movement or citizen initiative. The same may be said about sensor data, when it leaves the field of statistics and urban planning. Through the concept of the communicative object, we address exactly this connection between meaning-making, media materialities and (interpretive) communities around them. This concept has epistemological consequences for the role of research and design in digital media, but also aids us in understanding the normative implications of objects that we treat as “humble servants” (cf. the quote by Latour above) but which do, in fact, have their own agendas and constraints. The term “communicative object” does not have a legacy in media and communication studies. It is derived from various strands of research in semiotics, design theory, software studies, and science and technology studies (STS) to capture the dualism of the digital and the epistemic beyond established concepts like discourse, sign or practice. In the remainder of the article, we will outline arguments and strands of research, which we regard as crucial for understanding communicative objects. We do not have the space to elaborate the extensive theorizing of material objects, be it in anthropology, ethnography and psychology or in design and studies of material culture. But there is a crucial notion about understanding material objects that we would like to retain here. Objects acquire meanings over time, either through usage, through ritual or through designs. Such meanings are often not attached to specific material qualities or particular functional features, but emerge in relation to embedding objects in social practices. Sociological research into practices has emphasized this point (Reckwitz 2002; Bourdieu 1984). Whether they are mobile phones or bus tickets, coffee cups or styrofoam plates: objects contribute to sustaining and shaping sociality or social relations. They are often commodities (Appadurai 1986), but they acquire meanings in everyday life beyond their explicit exchange value (Miller 2008). In the domain of design, an explicit reference to “communicative objects” is found in Paolo Volonté’s article with the same title (Volonté 2010). He argues: “All the three-dimensional objects in our world that are in some way used by human beings inevitably act as media of social communication in everyday life.” (Volonté 2010: 120) Objects are designed to allow users to communicate with other people. By using a specific object as a marker of status, to signal a social affiliation or to improve a process, objects act as social coordinates that need to be interpreted. In conclusion, Volonté writes that “[t]o design is not to produce meanings, but material situations that are potentially meaningful” (Volonté 127). Although this seems a banal assertion, we can retain the notion here that an object may acquire meanings across time and usage, which may not be obvious to us as observers of a practice or that we have forgotten over time. Objects may be “evocative” of past situations and practices while seeming to remain stable in their functional properties: “We think with the objects we love; we love the objects we think with” (Turkle 2007, 5). Objects which are preserved and taken out of usage, can thus attain new meanings, e.g., textile semantics can be seen as form of communication: “how the object is actually used and consumed in relation to other objects and the context in which it is viewed” (Andrew 2008: 44). The object thus functions as a sign that becomes meaningful in relation to other signs and that contributes to structuring social relations (see Baudrillard’s classic study The System of Objects ( 1996). In his article on the “cultural biography of things,” Igor Kopytoff argues that objects can oscillate between a status of singularity or commodity. They can transition from being a unique object (for example in religious rituals), that cannot be exchanged for anything else, or they are an object that is exchangeable against other objects, e.g., money. Kopytoff emphasized that the status of an object can be “ambiguous” (Kopytoff 1986: 83), when it transitions between these two ends of a broad spectrum. In this ambiguity lies a potential to embed an object into new contexts, where it acquires new meanings and sustains new practices, e.g., when junk turns into art. In analogy to Kopytoff, we can approach the communicative object as something passing into and out of communication. When something is communicated, we often see a transition between two media technologies, for example when thoughts are written in a letter, when a photograph is taken or when that photograph is sent from a mobile phone to a social media site. The same can be said of verbal and bodily communication. At this moment of transitioning into communication, we thus have to acknowledge a form of medial encoding that defines but also alters what was there before. This idea is especially relevant for understanding digitization and computation. As David Beer has argued, “computation is limited to specific temporal durations and symbolic sets of discrete data to represent reality, but once encoded, it can be resampled, transformed, and filtered endlessly.” Digitization then describes the encoding of a continuous flow into discrete data units, which allows to perform new kinds of operations on these units individually. This is what Beer calls the “plasticity of digital forms” (2011: 14). The philosopher Yuk Hui has emphasized that the digital also offers new ways of describing and classifying data through metadata. Such classification of data then makes it understandable across different networks, platforms and systems (Hui 2016). This way of making data interpretable across contexts has the effect that “meaning exists in digital media … as the threshold of mixtures between two or more technologies. Meaning is a data conversion” (Galloway and Thacker 2007, 144-45). This does not mean that meaning is a direct outcome of a data conversion, i.e., that meaning can be calculated, but that the interpretation of data requires more than one technology. Put in simpler terms, an object that transitions into communication, assumes an ambiguous status, even if it is “correctly” interpreted by a machine. But there remains a difference between how objects are interpreted machine-wise and how they acquire meanings when they mutate into other media forms. We can briefly outline how this mutation of an object, especially when it is a digital object, can be understood. On a technical level, objects mutate because they are interpreted as code and are assembled in a modular, deterministic fashion. On a cultural level, they mutate through circulation and appropriation in interaction processes (e.g., as memes). In a sociological perspective, objects mutate as a community gathers around them, negotiates them and thus reshapes them. 1) A user can interpret an image, a tweet or website as a discrete textual unit. It may assemble different media forms, but what is crucial to keep in mind is that the code (or encoding) is not readily available to most users. Switch from a website to its source and there is nothing but text, a classification and mapping of elements, data sources and graphical parameters that define the overall composition of the digital object. When you look at code, in Galloway’s terms, “what you see is not what you get” (2012: 69, emphasis added). But most media used nowadays in everyday interactions and communication rely on an architecture of encoding data, protocols and relations between objects, which we interpret differently than a computer does. In Galloway’s words: “Code is never viewed as it is. Instead code must be compiled, interpreted, parsed, and otherwise driven into hiding by still larger globs of code.” (ibid.). Depending on which interpretive community we belong to, we do not interpret code in the same way as we interpret a narrative document or an image. And due to this discrepancy, digital objects are often interpreted as discrete objects or documents, rather than as an assembly of modular units (Hui 2012). Due to this modularity, digital objects such as websites are difficult to define as discrete documents as they evolve over time. They are also difficult to archive, especially when core resources of their constitution cease to exist (Brügger 2009). On a technical level, then, objects mutate as units and components that are crucial to their design become continuously assembled, compiled and sorted in new ways. Memes can be defined as variations of a cultural trope or artifact wherein certain elements remain stable and recognizable while other elements change, often with a satiric meaning that then feeds community norms and sustains common values. What is less visible in these kinds of digital objects is the work and negotiation that goes into defining which properties are changed and which remain stable, i.e., which elements are not disputed. In her research on the editing of Wikinews articles, Heather Ford has emphasized the role of technical artifacts like infoboxes and “cleanup tags” for managing a joint editing process among different contributors. As the content of an article is still in the making, such technical artifacts structure the work process. When negotiation among contributors has taken place, “the article develops an implicit authority, appearing to rise above uncertainty, power struggles, and the impermanence of the compromise that it originated from.” (Ford 2014: 81) Ford characterizes the interaction between contributors, editors and such “bespoke coded objects” (82) as a form of “messiness” that precedes and in a way contradicts the “clean narrative on Wikipedia” (94), which users encounter after an editing process slows down. The object here has been mutating between different coded forms, tools and protocols, while being negotiated among users of a particular “interpretive community”. In Ford’s words, the object of the Wikinews article is “obscuring the battles fought behind the scenes” (95). We can now summarize the previous three arguments in relation to communicative objects. On the basis of digital encoding, objects become more defined in terms of their technical properties and are described through metatextual elements. These elements allow objects to be embedded and interpreted in different technological systems and establish new relations between data points. Meanings emerge as technological systems are crossed and communities of actors make use of objects in their respective contexts. Such traces of usage and negotiation are often absent from or obliterated in a document. Yet, as communities come together around the circulation of particular objects, they contribute again to a dissolution and reassembly of traces of objects into new objects. Communicative objects then appear similar to what Star and Griesemer called a boundary object: They “inhabit several intersecting worlds,” and in our argument that is the technological, the social and the cultural. These objects are also “both plastic enough to adapt to local needs (…), yet robust enough to maintain a common identity across sites” (Star and Griesemer 1989: 393). The particularity of the digital encoding, however, makes the boundary of the object appear much more like a momentary association of certain elements, rather than a fixed entity. Through the notion of the communicative object, we can focus on these associations of elements that emerge in processes of negotiation alongside their technological or infrastructural formation. This does not mean that digital encoding explains meaning-making but that meaning-making in socio-technical environments must include an understanding of the technological definition of those objects meaning is derived from. A central feature of communicative objects, which is related to their inherently digital context or even constitution, is that they lend themselves to interactions that are different than non-digital objects. Without delving into the ontology and epistemology of (partly) digital entities, we will here merely note that many proposals have been made to provide a contemporary characterization of digital, networked objects, including the concept of “spimes” (Sterling 2005). However, in order to have a clearer terminology for the interaction potential of and with objects, we find it useful to refer to five specific levels of interactivity, in this case developed within the field of interaction design (Brynskov et al. 2014, Fritsch and Brynskov 2011), where the fifth and highest level of interactivity is, in fact, “communicative”. The five levels are: static, dynamic, reactive, interactive and communicative. We can apply this classification to journalistic documents: a printed newspaper is static because it does not change once it is printed. A news ticker display with a scrolling line of news headlines or flow TV is dynamic. It moves independently of the context. The bike counter in Aarhus (Figure 8) is reactive. It reacts to movement registered by the sensors. A news website is interactive because users can browse news content and that content changes as they make selections. When we ask speech recognition services such as Amazon’s Alexa or Apple’s Siri to read the latest news, we have reached the level of the communicative because the interaction requires natural language communication skills on both sides of humans and the machine. This is a rather compressed outline of the levels of interactivity, and naturally, these can be discussed. But we would like to retain two arguments here with particular relevance to understanding communicative objects. First, while it is easy to find examples of journalistic products exhibiting interactivity on the first (static), second (dynamic) and fourth (interactive) level, there are few attempts to approach the reactive (third) or even communicative (fifth) level. Developments such as chat bots and conversational journalism go in the direction of having communicative objects embedded in journalism. But so far these often rely on preprogrammed interaction routines rather than being genuinely communicative. Second, the question is whether there are actually any systems that can currently satisfy the notion of being communicative, implying not just the deterministic exchanges based on simplified natural language, but also activating more open-ended meaning-making and interpretation, including social cognition. But the level is included to avoid a ceiling effect, capping at only what current technology is capable of producing. Journalists can use established interactive formats, e.g., a website, operated through a content management and editing system, but the skillset taught in journalism schools today does not include going much beyond the formats programmed by others. Data and networked objects introduce a new interaction potential for journalism and beyond. But this potential has yet to be exploited for new ways of doing journalism. Data journalism then could encompass more than simply new sets of sources (Hermida and Young 2017; Gray et al. 2012). It could be developed into the design of communicative objects that interact in realtime. Just as artists and activists are exploring what can be done with new materials and forms with some level of digital interactivity, journalists could expand their repertoire of practices to make their expertise available in new ways and new media formats. The communicative object transcends the traditionally rigid definitions of what constitutes a journalistic product, bridging the gap towards a data-saturated and hyperconnected society, and even pointing towards a future integration of artificial and human cognition (or even bodies). The concept of communicative objects has an important epistemological consequence, which affects the status of researchers and the knowledge they produce. Looking at communication through the circulation and formation of objects, requires of researchers to be transparent about the processes that go into the constitution of research data. Further up, we have used a table of media references that the citizen initiative has compiled. In a separate appendix to this paper we have documented the process in which we have transformed a collection of links from a website to a well-structured table that we can use for analysis. Through this transformation from website to table, we as researchers have created a new object, an object that can be transformed, embedded and that can now mutate in other ways than the collection of links or HTML code that defines them. Through the perspective of the communicative object, we as researchers are urged to reflect on the role of our own objects in the creation of knowledge. Especially when we deal with data whose origins we can often not control, e.g., social media data, we need to account for the constitution of our data as much as we need to reflect on transformations we apply to data. Often these transformations are not simply motivated by technical requirements to standardize and “clean” data: They are based on epistemological choices and tacit assumptions that we bring to data. A theory of communicative objects needs to account for the constitution of objects as they mutate and needs to render transparent the methodology that researchers apply to objects of research. In this sense then, communicative objects are also epistemic objects. They are objects of knowledge which are characterized by momentarily stabilized meanings. These meanings necessarily differ between groups of actors, between activists and journalists, between researchers and politicians. Through each kind of object mentioned in the case study, a different meaning of Berlin as a bike-friendly city emerges. We do not argue that objects constitute these meanings, but that objects are characterized by an “unfolding ontology” (Knorr-Cetina 1997: 15). They become defined in certain moments and in certain spaces, which does not impede their further mutation, as outlined above. The communicative object as an object of knowledge, exhibits that “processes of enquiry rarely come to a natural ending” (ibid. 13). The same can be said of negotiations over meaning, which evolve as actors confront old and new, embed or create new objects, and establish new relations. What we as researches need to acknowledge is that such knowledge objects can have “multiple instantiations, for example … as test materials, visual displays, maps, prototypes, substances, etc.” (ibid. 24). The perspective of the object in processes of knowledge creation emphasizes that each instantiation of an object is wrought with material and epistemic constraints, which lie beyond the control of any of the actors involved in the circulation of this object. An epistemic object like “the economy,” for example, is both an object of study as it is an object that evolves and changes when researchers try to make predictions about it. This is what Reichmann calls “epistemic participation”, which is a “form of producing knowledge about an object that aims at the object itself participating in the epistemic process” (Reichmann 2013: 872f.). This radically reflexive notion of an object is what delineates a central epistemic boundary in doing research on and with digital data. A theory of communicative objects needs to address this level of reflexivity for researchers because the sources and often the analytic tools themselves are no longer an exclusive domain of academics. In this article we have addressed the notion of the boundary of journalism from the perspective of the digital materialities and meanings of objects. On the one hand, we pointed out how choices in regard to research data (and data in the broader sense), create epistemic constraints that often are glossed over in making analytic statements. Implicit in this approach was a challenge to the primacy of journalistic communication over other forms of public articulation, that equally contribute to the emergence of an issue of public concern. By addressing journalistic media in their materiality, we also showed how the digital encoding of such media allows for new methodological approaches to studying journalism and larger processes of communication that nowadays often embed journalistic functions. On the other hand, we introduced the concept of communicative objects to foreground the relations of materialities to meaning-making and interaction that are in many ways unique to digital communication. The digital obliterates many of the boundaries that existed between different types of data before. We use the concept of the communicative object to critically address in what ways new relations are established between constitutive elements of communicative processes and how objects themselves should be considered in their interaction potential. Throughout this article, we question traditional research approaches to journalistic and other public communication, that rely in no small measure on collections of documents, however broadly defined. By emphasizing the properties and relations of objects as being both technologically defined and socially negotiated, we open up a theoretical grounding for research into the mutation and creation of objects that are far from static. Developing a methodology of communicative objects will in no small measure require to connect research with design practices to find ways of following and interacting with objects that constantly mutate. Anderson, Chris W., and J. De Maeyer (2015). “Objects of Journalism and the News.” Journalism 16 (1): 3–9. Andrew, Sonja (2008). “Textile Semantics: Considering a Communication-Based Reading of Textiles.” The Journal of Cloth and Culture 6 (1): 32–65. Appadurai, Arjun (1986). “Introduction: Commodities and the Politics of Value.” In The Social Life of Things: Commodities in Cultural Perspective, edited by Arjun Appadurai, 3–63. Cambridge: Cambridge University Press. Baudrillard, Jean. ( 1996). The System of Objects. London: Verso. Borges-Rey, Eddy (2015). “News Images on Instagram: The Paradox of Authenticity in Hyperreal Photo Reportage.” Digital Journalism 3 (4): 571–93. Bourdieu, Pierre (1984). Distinction. A Social Critique of the Judgement of Taste. Abingdon: Routldege. Brügger, Niels (2009). “Website History and the Website as an Object of Study.” New Media & Society 11 (1-2): 115–32. Brynskov, Martin; Dalsgaard, Peter; Halskov, Kim. (2014). “Media Architecture: Engaging Urban Experiences in Public Space.” The Uses of Art in Public Space, edited by Julia Lossau; Quentin Stevens, New York and London: Routledge. Close, Samantha (2014). “Popular Culture Through the Eyes, Ears, and Fingertips of Fans.” In Sampling Media, edited by David Laderman, and Laurel Westrup, 199–211. Oxford University Press. de Maeyer, Juliette, and Florence Le Cam (2015). “The Material Traces of Journalism: A Socio-Historical Approach to Online Journalism.” Digital Journalism 3 (1): 85–100. Fish, Stanley (1980). Is There a Text in This Class? The Authority of Interpretive Communities. Cambridge MA. : Harvard University Press. Ford, Heather (2014). “Infoboxes and Cleanup Tags: Artifacts of Wikipedia Newsmaking.” Journalism 16 (1): 79–98. Fritsch, Jonas; Brynskov, Martin. (2011). “Between Experience, Affect, and Information: Experimental Urban Interfaces in the Climate Change Debate.” From Social Butterfly to Engaged Citizen: Urban Informatics, Social Media, Ubiquitous Computing, and Mobile Technology to Support Citizen Engagement, edited by Marcus Foth; Laura Forlano; Christine Satchell; Martin Gibbs; Judith Donath, 115-134. Cambridge: MIT Press. Gal, Noam, Limor Shifman, and Zohar Kampf (2016). “It Gets Better”: Internet Memes and the Construction of Collective Identity.” New Media & Society 18 (8): 1698–714. Galloway, Alexander R (2012). The Interface Effect. Cambridge (UK): Polity Press. Galloway, Alexander R., and Eugene Thacker (2007). The Exploit. A Theory of Networks. Minneapolis: University of Minnesota Press. Gigante, Maria E. (2015) “A Portrait of Exclusion: The Archetype of the Scientist at Work in Magazine.” Rhetoric Review 34 (3): 292–314. Gray, Jonathan; Bounegru, Liliana; Chambers, Lucy (eds.) (2012). The Data Journalism Handbook. Beijing: O’Reilly. Greenfield, Adam (2006). Everyware: The Dawning Age of Ubiquitous Computing (1st ed.). Berkeley CA. : New Riders Publishing. Harvey, David (2013). Rebel Cities: From the Right to the City to the Urban Revolution (1 ed.). London: Verso. Hui, Yuk (2012). “What is a Digital Object?” Metaphilosophy 43(4): 380-395. Hui, Yuk (2016). On the Existence of Digital Objects. Minneapolis: University of Minnesota Press. Jacobs, Jane M. ( 1992). The Death and Life of Great American Cities (Reissue ed.). New York: Vintage. Kitch, Carolyn. (2009). “The Afterlife of Print.” Journalism 10 (3): 340–42. Knorr Cetina, Karin (1997). “Sociality with Objects: Social Relations in Postsocial Knowledge Societies.” Theory, Culture & Society 14(4): 1-30. Knorr Cetina, Karin (2000). Epistemic Cultures: How the Sciences Make Knowledge. Cambridge MA: Harvard University Press. Kreiss, Daniel (2015). “Afterword.” Journalism 16 (1): 153–56. Latour, Bruno (2005). Reassembling the Social. An Introduction to Actor-Network-theory. New York: Oxford University Press. Lessing, Hand-Erhard (1981). Radfahren in der Stadt. Reinbek/Hamburg: Rowohlt Verlag. Löwgren, Jonas; Reimer, Bo (2013). Collaborative Media: Production, Consumption, and Design Interventions. Cambridge MA. : MIT Press. Milan, Stefania (2013). Social Movements and Their Technologies. Wiring Social Change. Basingstoke: Palgrave Macmillan. Miller, Daniel (2008). The Comfort of Things. Cambridge: Polity. Marres, Noortje (2012). Material Participation: Technology, the Environment and Everyday Publics. Basingstoke: Palgrave Macmillan. Paulussen, Steve, and Raymond A. Harder (2014). “Social Media References in Newspapers: Facebook, Twitter and Youtube as Sources in Newspaper Journalism.” Journalism Practice 8 (5): 542–51. Raetzsch, Christoph, and Henrik Bødker (2016). “Journalism and the Circulation of Communicative Objects.” Tecnoscienza 7 (1): 129–48. Reichmann, Werner (2013). “Epistemic Participation: How to Produce Knowledge About the Economic Future.” Social Studies of Science 43 (6): 852–77. Senft, Theresa M. (2008). Camgirls: Celebrity and Community in the Age of Social Media. New York: Peter Lang. Shifman, Limor (2013). Memes in Digital Culture. Cambridge MA. : MIT Press. Star, Susan Leigh, and James R. Griesemer (1989). “Institutional Ecology, ‘Translations’ and Boundary Objects: Amateurs and Professionals in Berkeley’s Museum of Vertebrate Zoology, 1907-39.” Social Studies of Science 19 (3): 387–420. Sterling, Bruce (2005). Shaping Things. Cambridge MA: MIT Press. Sumiala, Johanna, and Minttu Tikka (2011). “Imagining Globalised Fears: School Shooting Videos and Circulation of Violence on Youtube.” Social Anthropology/ Anthropologie sociale 19 (3): 254–67. Turkle, Sherry (2007). Evocative Objects: Things We Think with. Cambridge MA. : MIT Press. Williams, Bronwyn, and Amy A. Zenger (2012). New Media Literacies and Participatory Popular Culture Across Borders. New York: Routledge. Volonté, Paolo (2010). “Communicative Objects.” In Design Semiotics in Use, edited by Susann Vihma, 112–28. Helsinki: Aalto University. Zelizer, Barbie (1993). “Journalists as Interpretive Communities.” Critical Studies in Mass Communication 10(3): 219-237. Zepel, Tara (2011). “Cultural Analytics at Work: The 2008 U.S. Presidential Online Video Ads.” In Video Vortex Reader II: Moving Images Beyond Youtube, edited by Geert Lovink, and Rachel Somers Miles, 234–49. Amsterdam: Institute of Network Cultures.